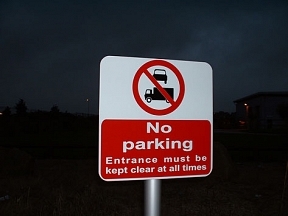 Dibond (Aluminium Composite) signs are available with or without rear mounting rails. 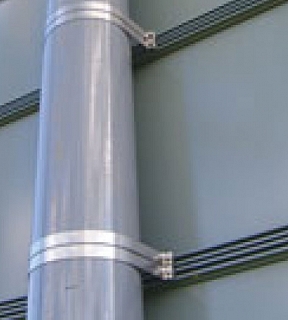 The purpose of the rear rail is to allow for post mounting using the specifically designed ‘Post Clips’. 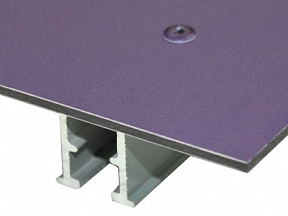 When the ‘With Rear Rails’ option is selected, mounting rails will be fitted to your panel allowing for post mounting. This option means your panel can only be printed single sided. 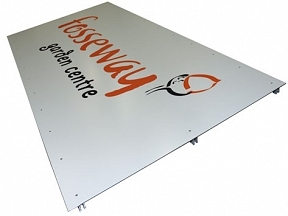 The number of rails fitted to the rear of your sign will depend upon its size, smaller signs will have two rails whereby larger signs may have up to six rails, generally they are spaced at approximately 450mm. Rails are attached with rivets and these rivets will show on the printed face, we mount the rails before printing, so the rivets are printed if the sign has print where the rivets are. If the space is white where the rivets are then the rivets will be silver in colour.